AT&T’s “Spring” is a picturesque metaphor about being touched by things around you coming to life, much like AT&T enables that same connection by covering 97% of all Americans. The Mill NY worked with BBDO and TWiN on this travelogue through quintessential American backdrops, bringing flowers to life on a vast canvas. 3D Lead Artists Rob Petrie and Andy Nicholas, working with our ECD Angus Kneale, led the charge. A complete vine-growing simulation was written with animations leaf and flower growth that would crawl over the surfaces of buildings. The team specified where the roots started and pressed go! A quarter million leaves appear in a wide shot of downtown Chicago seen through a train window, each with individual stalks attaching to 25,000 vines. 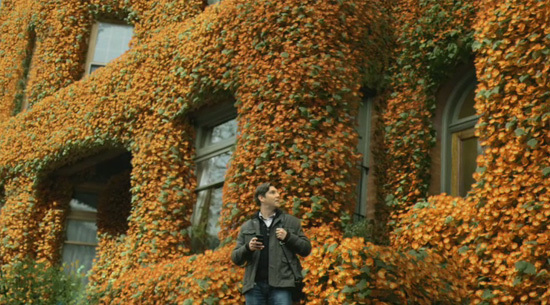 200,000 flowers and leaves grew in a wide shot of a Brownstone and had 10 million particles in the field. Another 60 flowers, all hand animated, blossomed in a low angle shot of a majestic tree. This entry was posted on Thursday, February 17th, 2011 at 1:19 am	and is filed under Customer Film & Video. You can follow any responses to this entry through the RSS 2.0 feed. You can leave a response, or trackback from your own site.